Magnetic centrifugal pumps are magnetically coupled centrifugal pumps in which the drive motor and the actual pump are mechanically separated. The pump is driven by contactless magnetic force transmission. This construction eliminates the shaft seal required in conventional centrifugal pumps, which regularly causes leakage problems. The pump casing is hermetically sealed by the construction of the magnetic centrifugal pump, thus guarantees a high operating safety as well as a long service life. The essential feature of these centrifugal pumps is therefore their seal-free design, which does not allow leaks. The materials used for the JESSBERGER magnetic centrifugal pumps are characterized by a high chemical and thermal resistance and thus guarantee a long service life. In addition to the standard polypropylene version, which is already suitable for a large part of the applications, a large proportion of the pumps are also available in ECTFE. 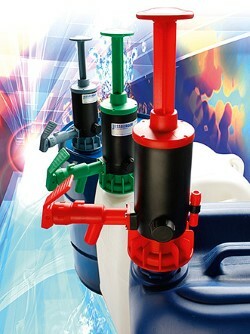 All sizes are available with hose or thread connections. Compact and robust design, sealless design, no leakage problems. Absolute operational safety, suitability for continuous operation, high efficiency. High chemical and thermal resistance, versatile usability. Optimal price / performance ratio, environmentally friendly construction. Compact, suitable for continuous operation and long operating time. 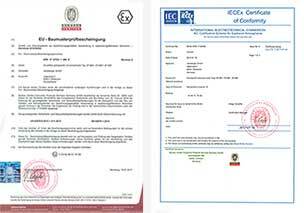 Available in various models of polypropylene or PVDF / ECTFE. 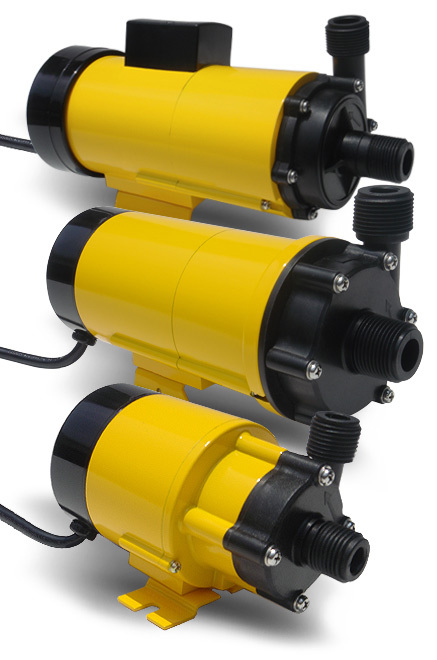 Flow rates up to 80 l/min and delivery heights up to 8 m.
Ideal as a circulating pump for industrial applications or aquariums. Available with hose connections (our standard) or thread connections. The following magnetic centrifugal pumps made of polypropylene with hose connections are available from stock: NH-5 PX, NH-10 PX, NH-30 PX, NH-40 PX, NH-50 PX, NH-100 PX, NH-125 PX, NH-150 PX . Magnetic centrifugal pumps made of PVDF / ECTFE or with threaded connections or other operating points are available on request at short notice.